Home » Education » Civilization V in High Schools: How To Motivate Different Students? Civilization V in High Schools: How To Motivate Different Students? The Verge has recently reported that Civilization V is going to be used in North American high schools beginning next Fall. Publisher Take-Two Interactive announced that the modified version will be called CivilizationEDU and will “provide students with the opportunity to think critically and create historical events, consider and evaluate the geographical ramifications of their economic and technological decisions, and to engage in systems thinking and experiment with the causal / correlative relationships between military, technology, political, and socioeconomic development.” It will also be modified to add tools like tutorial videos, lesson plans, and student progress tracking. 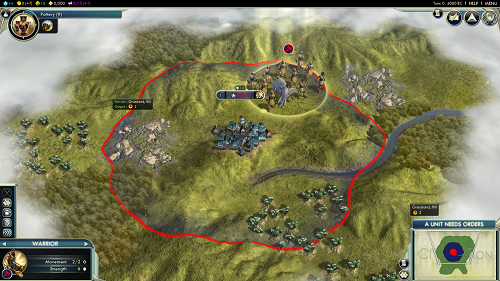 The Civilization series has been around for 25 years and has always been perceived by many players as a fun way to learn some interesting history facts. Therefore, it seems really appropriate to have a educational version adapted to be used in the classroom. However, educators will have to consider how to integrate the game into their classroom in a way that will be engaging for all types of players. Civilization V is a great game! Nevertheless, its detailed strategic gameplay style targets players who like to be strategists. In an ongoing research at the HCI Games Group, we are analyzing player preferences toward different games using the BrainHex typology. While results are still unfinished, we could already see a clear tendency of Masterminds (who are motivated by strategic) being more likely to enjoy playing Civilization, whereas more challenge- or action-oriented players, such as Conquerors, Survivors, and Daredevils, are less inclined to enjoy the series’ gameplay style. Thus, we can expect that some students will find more enjoyment in using CivilizationEDU as a learning tool than others. A proper solution to this issue will depend on how the game is integrated into each particular classroom and the characteristics of the students. Therefore, educators will need to think carefully about it to come up with a solution. Some possible solutions would be to have additional gameplay styles implemented in the game to engage different types of players (which don’t seem likely), making CivilizationEDU an optional learning tool, only for students who enjoy this gameplay style, or perhaps combining the game with other types of activities that can be motivating to different types of students. How do students differ in gamified education? Gustavo is a Gamification Consultant and Ph.D. Student in Computer Science at the University of Waterloo, Canada. He is ranked one of the top Gamification leaders in the world by Rise's Gamification Gurus Power 100 leaderboard. His main interests include gamification, and games for health and learning. His research focuses on the design of gameful applications. Before coming to Canada, he worked for several years as a Software Engineer in Brazil. Gustavo is also a researcher of Logosophy, and he is affiliated to the Logosophical Foundation of Brazil and of the USA.